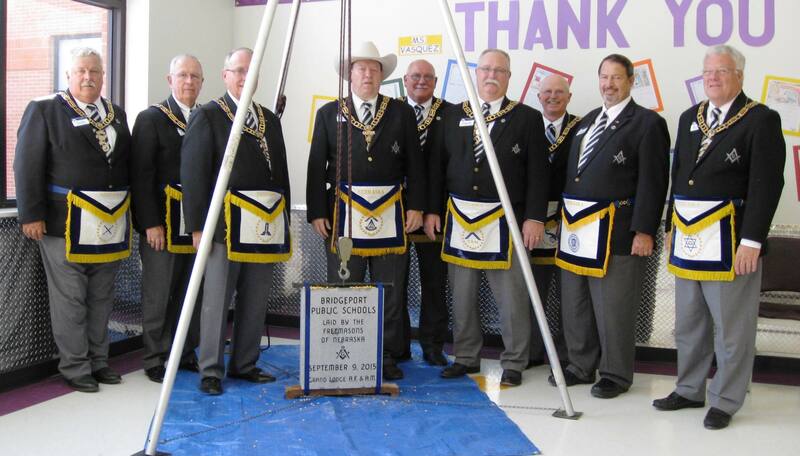 The Grand Lodge Officers performed the Cornerstone ceremony for a School addition at Weeping Water on September 13, 2015. 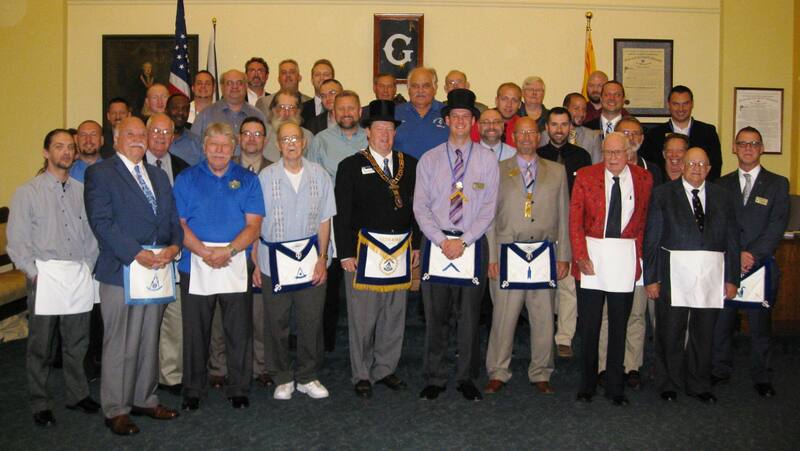 On September 12, 2015, the Grand Lodge of Nebraska and the Scottish Rite of Nebraska held a Lodge Leadership Conference at the Omaha Scottish Rite.The featured guest speaker was W.B. 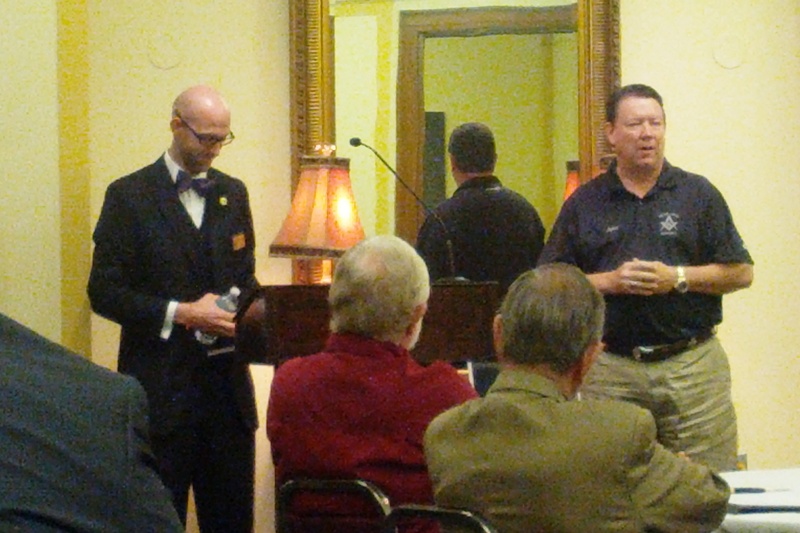 Matt Nelson, author of “Lodge Leadership: a 5 Step Guide to Masonic Reform.” W.B. Nelson hails from the Grand Lodge of Utah. 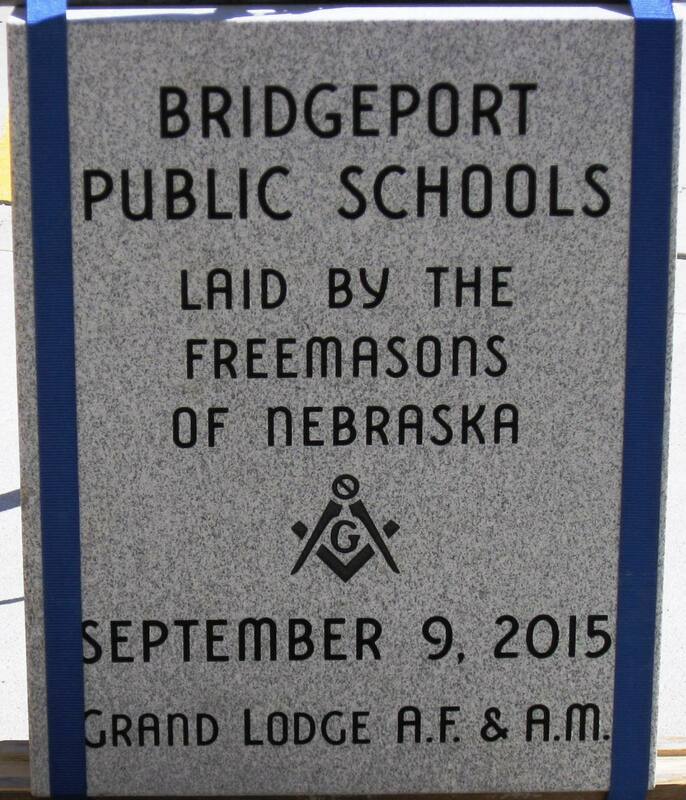 The Grand Lodge Officers performed the Cornerstone ceremony for the Bridgeport Public Schools on September 9, 2015. On September 5, 2015, the Nebraska Masonic Foundation held the Open House for the Museum & Research Library located at the Grand Lodge Office, 301 N. Cotner Boulevard in Lincoln. Commemorating 25 years of joint recognition between the two grand lodges, the opening featured an exhibit of the history of the Prince Hall Grand Lodge of Nebraska. 27 Aug MW Tom Hauder, PGM is explaining to RW Rick Myers, GSW where to find and how to research an on-line version of the Grand Lodge of Nebraska Constitution and By-Laws. 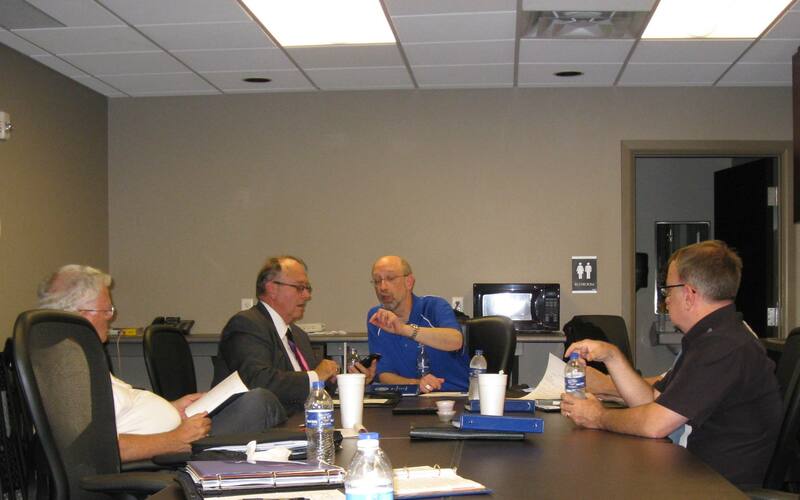 The Advancing line met with MWB Tom for a discussion and instruction of the portions of the Constitution and By-Laws that need to be fully understood for Grand Lodge Officers to effectively dispatch the duties of their offices. 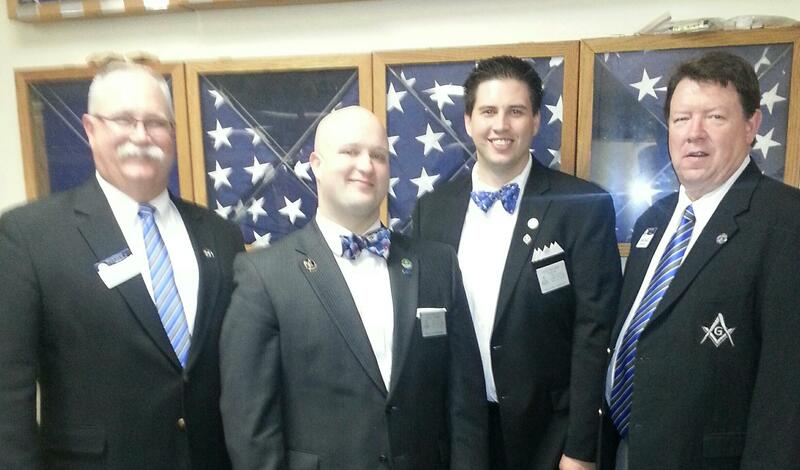 Sep 2, 2015 Members of G. W. Lininger Lodge # 268 pictured with the MWB John Maxell, Grand Master. One of the largest turn outs in years, 42 members and visitors, and no one knew the Grand Master was going to visit! So many attending the Lodge had to borrow aprons – a very nice problem to have. MWB John Maxell presented the Artificer award to Ryan Brulinski, an officer of Bellevue Lodge # 325 during their Membership Dinner on Wednesday September 2, 2015. Pictured from left to right are RW Dennis Rix, DGM, Ryan Brulinski, Kyle Beckner, last year’s awardee, and MW John Maxell, GM. The Artificer Award is presented to the new Mason that meets stringent attendance and participation requirements within the first fourteen months of being raised a Master Mason. A well deserved congratulations!